Pastor MacArthur listened quietly before security removed the man, who continued to call for repentance as he was escorted out the door. Pastor MacArthur then responded like a completely composed, totally unruffled, senior statesman, using humor and assuring the congregants that the security team would handle the intruder with gentleness. He explained that this uninvited guest claimed that it is heresy to say that spiritual gifts like tongues and prophecy have ceased and he added that, according to 1 Corinthians 14, the spirits of prophets are subject to the prophets and if this man were a real prophet, he wouldn't have behaved that way. Of course, if you read about what the prophets did in the Old Testament and even in the New Testament (see Acts 21:10-11), a disruptive act like this would be quite minor. But I do believe in principles of order and honor, and Paul did instruct Timothy never to rebuke an older man (or elder) but rather to appeal to him (see 1 Timothy 5:1). So, however you view this incident, it did make charismatics look bad. As Pastor MacArthur continued to speak, he said "it's a sad situation" and "of all the things you could get upset about"—before he was disrupted by a baby crying, leading to more humor and laughter, after which he called on the congregation to stand with him as he read the Word of God before preaching. Obviously, I have a real problem with the way things happened, bringing reproach to the gifts of the Spirit in the presence of the entire congregation, not to mention the many thousands who have viewed the video since it was posted. And I've seen some ridiculous online comments posted to other videos like this one: "I heard online that John MacArthur receive[d] the medical RFID chip/mark of the beast and the Holy Spirit left him." We're supposed to take this stuff seriously? But there's something else I have a problem with, and I've raised my voice about it for two years now, also reaching out to Pastor MacArthur publicly and privately to discuss or even debate the relevant issues. I'm speaking about the extreme rhetoric used by my elder brother in his attacks on my colleagues in the charismatic movement, including some of the most saintly, Jesus-loving, Word-based, spiritually minded people I know anywhere in the world. 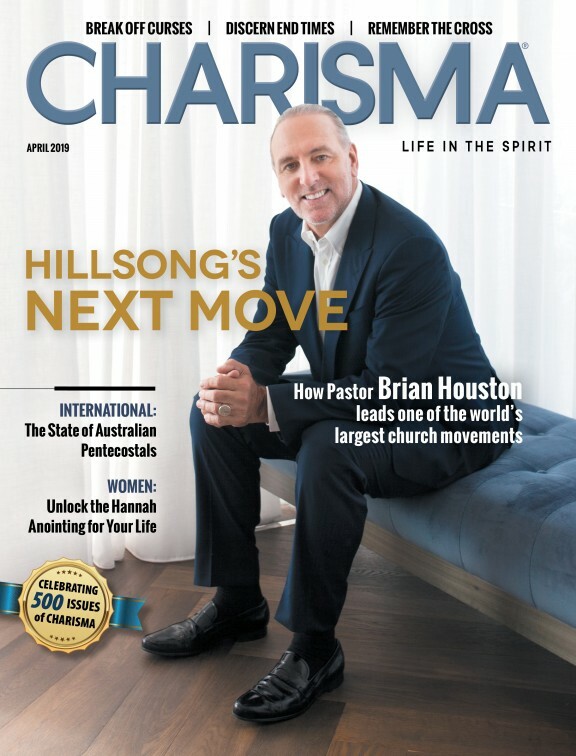 I'm talking about charges he made loudly and publicly like this: "The charismatic movement is largely the reason the church is in the mess that it's in today. In virtually every area where church life is unbiblical, you can attribute it to the charismatic movement." He claimed we have "stolen the Holy Spirit and created a golden calf and they are dancing around the golden calf as if it is the Holy Spirit. ... The charismatic version of the Holy Spirit is that golden calf ... around which they dance with their dishonoring exercises." Pastor MacArthur went as far as saying that we attributed "to the Holy Spirit even the work of Satan." In short, he called the charismatic movement "a farce and a scam" that "has not changed into something good," claiming that it represents "the explosive growth of a false church, as dangerous as any cult or heresy that has ever assaulted Christianity." Accordingly, he calls for a "collective war" against these alleged "pervasive abuses on the Spirit of God." He stated: "Satan's false teachers, marching to the beat of their own illicit desires, gladly propagate his errors. They are spiritual swindlers, con men, crooks and charlatans." Although I do not know the man from Scotland who disrupted Pastor MacArthur's service, I suspect that what upset him was not so much the doctrine of cessationism but rather the aggressive and divisive way in which Pastor MacArthur has taught it, maligning many of God's choice servants and mocking those who worship the Lord in ways that are unfamiliar to him. And so, once more, I appeal to my esteemed colleague, who has done so much good for the cause of Christ for so many decades and who has stood like a rock in the midst of spiritual compromise: Dear brother, you were gentle and gracious after that incident in your church. Would to God that you would display that same grace in your public differences with those of us in the charismatic movement—more than a half-billion strong—and would to God you would display that same grace and agree to sit down privately and discuss the relevant issues as men of God. How can that not be to the glory of Jesus' name and to the good of His people?